The 7.5 Sunbrella Aquamarine Patio Umbrella will add a bright punch of beautiful color to your outdoor space. This umbrella features a pop-up opening system, which makes this umbrella very user friendly. 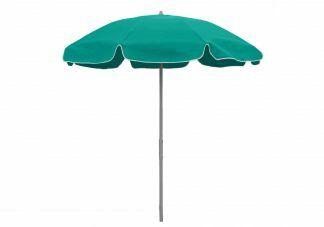 The eight panels of this umbrella are made from Sunbrella awning-grade fabric that is made to last through many conditions.